Please join our community and collect the data of Palestinian flora and fauna. 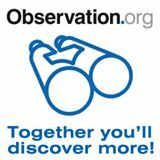 Register a free account at observation.org and download the free applications (Android and iOS). Your contributions will enlarge the world’s knowledge about Palestinian wildlife and will help conserve nature. By the way, the flora and fauna database of Mahmiyat.ps connects with this tool and displays the latest sightings in Palestine. Are you interested in learning about nature? Have you considered a career in environmental protection as a Park Ranger or conservationist? Are you interested in learning about initiatives to improve wildlife in Palestine? Both Hanns Seidel Foundation and Mahmiyat.ps offer volunteer, trainee, and internship opportunities through its projects. Contact us to find out more about our current projects.